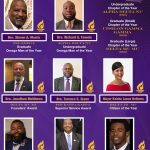 Congrats to our 2018-19 Georgia State Organization award winners. 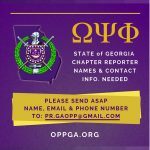 Are you a chapter reporter? 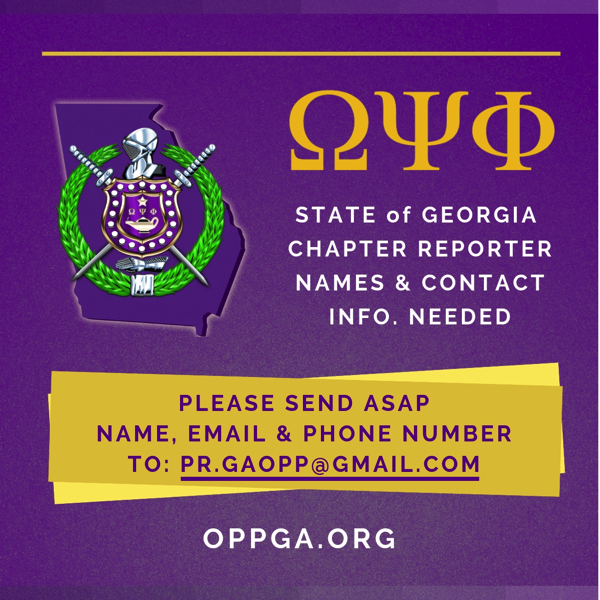 Please email your name, chapter, email, and phone number to our State PR chair. 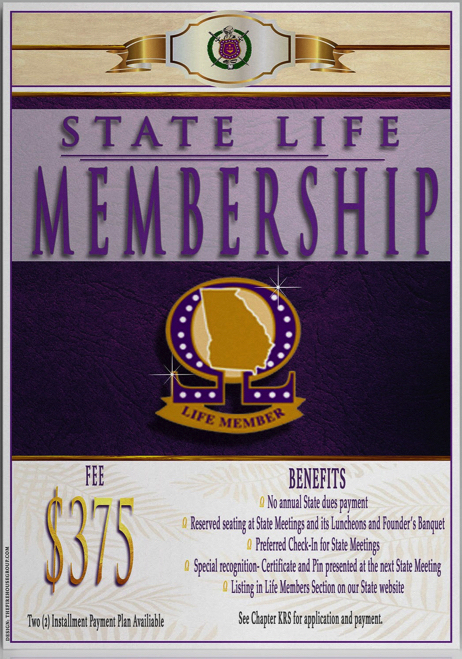 No more annual State dues payments, and many benefits. 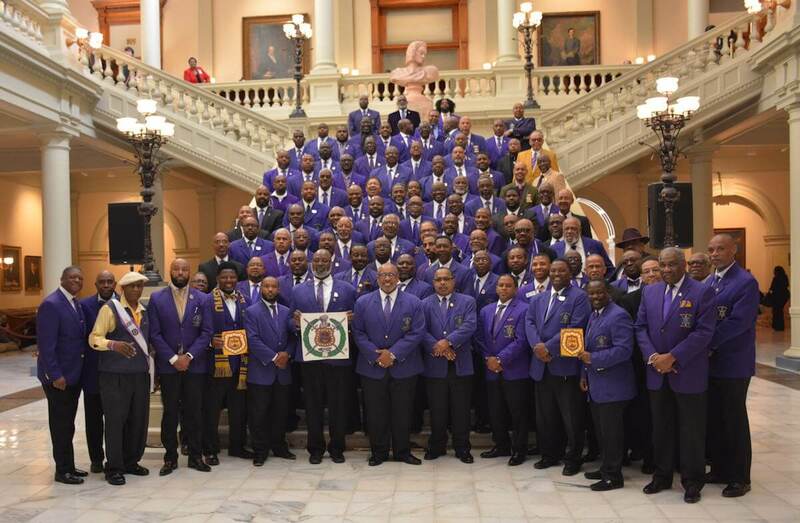 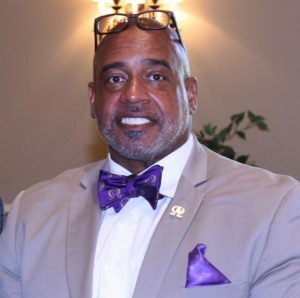 ...to the online home of Omega Psi Phi Fraternity's Georgia State Organization. 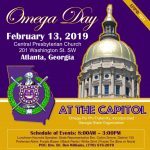 Use the links or the search feature to navigate our site. 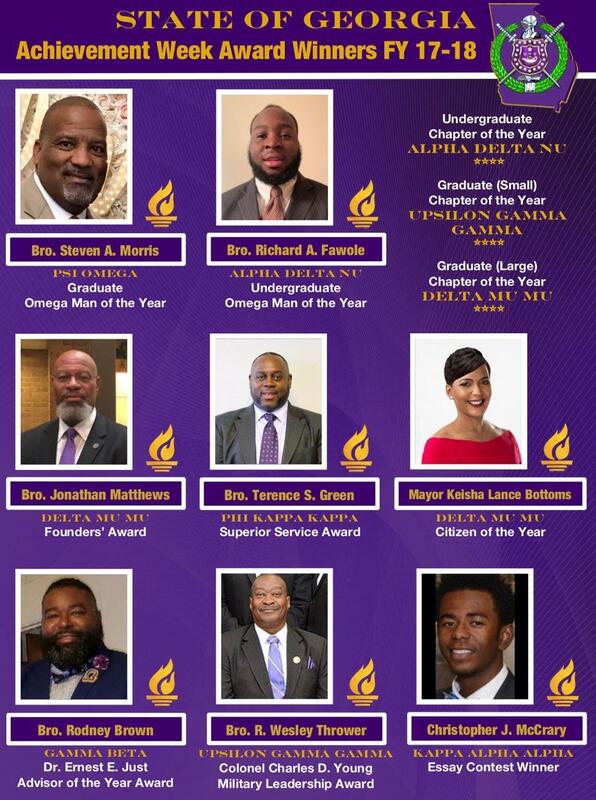 Learn more about the areas of focus our State Representative Bro. 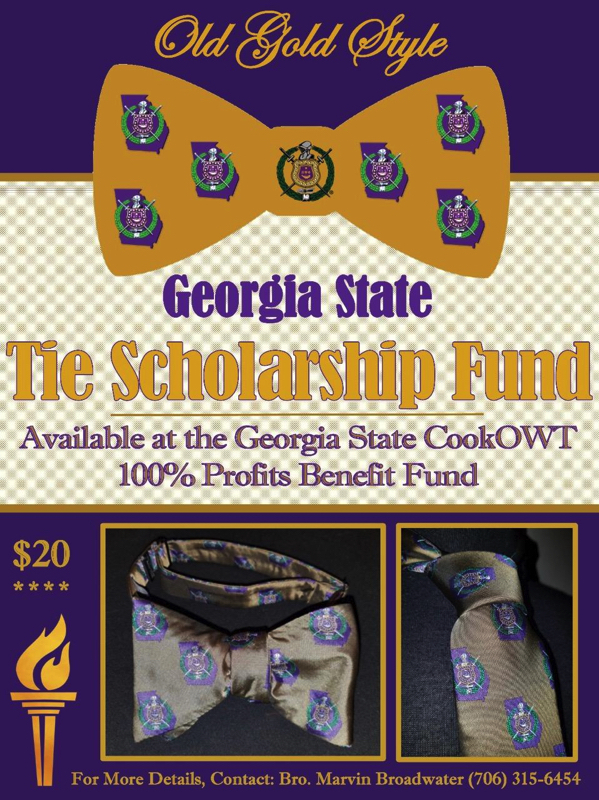 Marvin Broadwater, Sr. has for the brothers in the great state of Georgia.